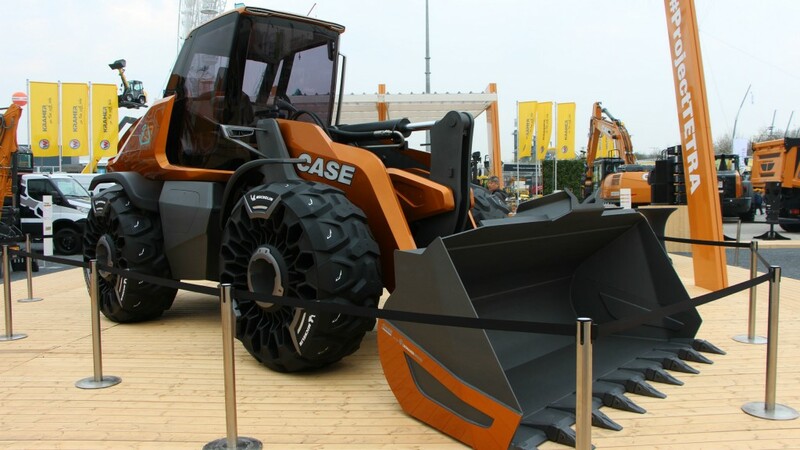 The new wheel loader concept is the first Natural Gas construction machine from Case Construction Equipment and is powered by a 6-cylinder NG engine from FPT Industrial's NEF family. This power unit, delivering power up to 230 hp and torque up to 1,184 Nm, has diesel-like performance, but with a smoother and quieter drive. It also offers the same reliability and durability and fuel savings up to 30 percent. The engine runs on Compressed Natural Gas (CNG), ensuring 15 percent less CO2 and 99 percent less Particulate Matter than its diesel-based counterpart. The NEF engine uses stoichiometric technology, which ensures the correct chemical balance between air and methane in every working condition, delivering clean combustion and low emissions. Such technology is enabled by FPT Industrial's proprietary control strategy, specific piston design and multi-point injection. Optimized combustion improves engine efficiency, leading to running cost savings of 10 to 30 percent over Diesel. The highly stable spark-ignited combustion system also reduces vibration and engine noise up to 5 dB in comparison with conventional Diesel engines, representing a 50 percent reduction in drive-by noise.